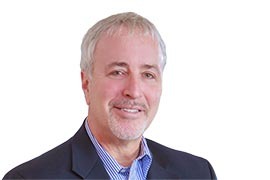 Paul Silber, a native of Baltimore, was the founder and President/CEO of In Vitro Technologies, Inc. (IVT), a bioscience company that provides products and services to pharmaceutical and biotechnology companies. After relocating to Baltimore in 1991, In Vitro grew from two employees to a staff of 70, including several employees in Europe. The company also expanded its international business to Japan, the U.K., and Germany, while bringing the products of international companies to their North American customers through strategic alliances and distribution relationships. After growing the company to 60 employees and $11M in revenues, he successfully sold the company to Celsis plc in 2006 for $30M. Paul currently Chairs the GBTC Biotech Roundtable. In addition, he serves on the boards of the Biotechnical Institute of Maryland, the TechCenter at UMBC Business Advisory Board, and the Dean’s advisory board of the UMBC College of Natural Sciences. He is also on the Leadership team of the Open Society Institute. He is also an active mentor of other local entrepreneurs and is a member of the Chesapeake Emerging Opportunity (Angel) Fund.